Racism can be found in many environments and can have detrimental effects on the way teachers and students learn and interact with each other in Canadian universities. Racism in universities is evident and continues to be a problem in Canada and around the world. 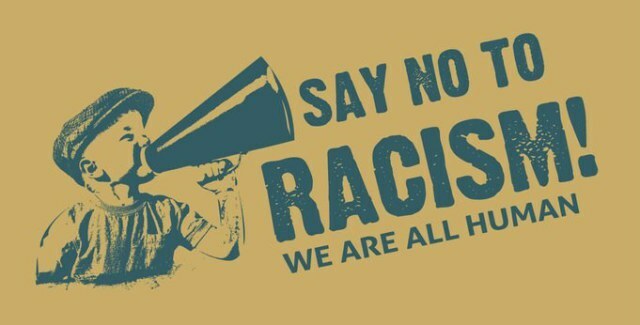 In a world striving for equality and multiculturalism, discrimination towards students and faculty members based on racist ideas needs to end. Racism takes place within the university on several levels between people of different status such as students, teachers and other faculty. Racism between peers is one way to understand the segregation of students on the university campus. Perhaps the diverse social and cultural backgrounds of the students cause the discrimination in the first place, as some students apply stereotypes to others based their actions and pair the stereotype to a racial group that is presumed to act in certain ways. For example, it is thought that Asian parents are more concerned with the studying habits of their children than North American parents. This creates negative assumptions that Asian students do not have time for a social life, when in reality they are just raised and expected to spend more time studying than socializing. They may receive the stereotype of the “teacher’s pet” or being “too smart” compared to their “white” peers. Peoples actions can segregate students into more defined groups and make socializing more difficult. Also, it has been noticed that it is the non-white students and faculty that are being judged, ignored and unheard. This racialized relationship between peers has also been found between faculty members. Many racialized staff in Canadian universities have experienced the sense of feeling unwanted or invisible to the rest of the faculty on a daily basis. They experience the same racism as their students, but as they hold a position of power in the school environment, being the “other” or minority in their faculty may weaken their leadership role, which is necessary for their job position. As a solution, there have been efforts to welcome and encourage the equitable hiring of faculty members of traditionally marginalized groups. The number of visible minority faculty rose in a ten year period. CAUT Almanac’s data shows a 3.4% increase from 1996 to 2006. While this would be fitting with the Employment Equity Act, this has yet to solve the problem of racism in the university staff. A university and what it stands for can also be racialized. Racialized stigmas can be attached to the university as a whole based on the subjects taught (such as multiple languages, or lack there of), the qualility of its students, etc. MacLean’s magazine wrote an informative article that explained how many post-secondary students’ decision to attend a university can be dependent on the positive and negative stigmas attached to the school such as it being a “party school” or being “too Asian”. Universities should be inviting to all prospective students, no matter one’s race or priorities. Solving the issue of racism in Canadian universities is difficult because the problem is not discussed or even evident to many people. There are many possible solutions including sensitivity training, anti-oppression training, equality audits, and more encouragement, monitoring and funding towards creating a university based on equality of its faculty and staff. Sensitivity training can make students more aware of others, their feelings and the existing prejudices between the two. According to the Louise Brown, an educational reporter from the Toronto Star only 15% of teachers are of a visible minority. Equality audits will ensure diversity in the hiring of faculty members. Anti-oppression/anti-racism training should be available for all people belonging to the university including all students, faculty and staff. This training would help bring equality to the school, breaking down the barriers between the dominant and oppressed groups, while challenging the concepts of power, racism and exclusion of others. While progress is being made, racism continues to be a problem and affects the lives of university students throughout Canada. Findlay, Stephanie, and Nicholas Köhler. “The enrollment controversy*.” Maclean’s. (2010)http://www. macleans.ca/. Brown, Louise. “Action urged against campus racism.” The Star, 22 March 2010, News section. Henry Francis, and Carol Tator. 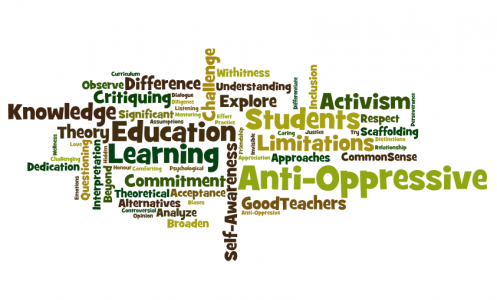 Racism in the Canadian university: demanding social justice, inclusion, and Equity. Toronto: University of Toronto Press, 2009.